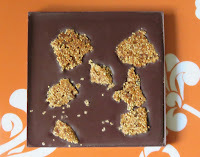 Welcome to Day #4 of Chocolate and Vietnam Theme Week. 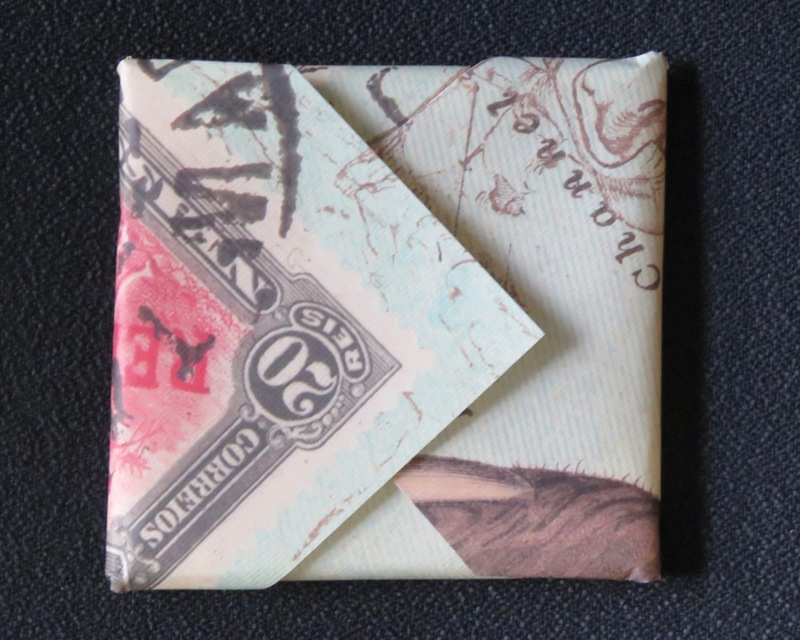 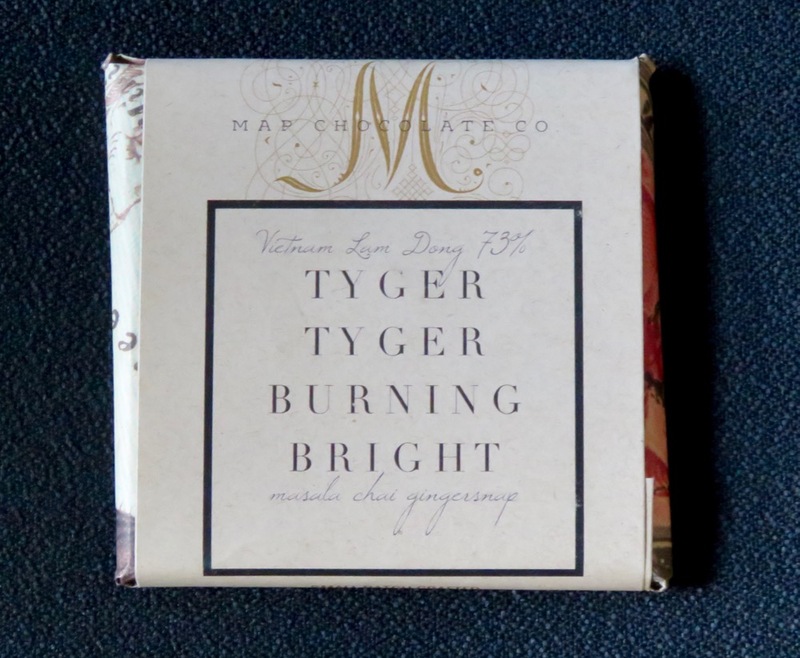 Today's Vietnam Lam Dong 73% Tyger Tyger Burning Bright* bar was the creation of Map Chocolate Co. (Eugene, OR), and chief chocolate maker, Mackenzie—who is, from what I gather, a master storyteller. 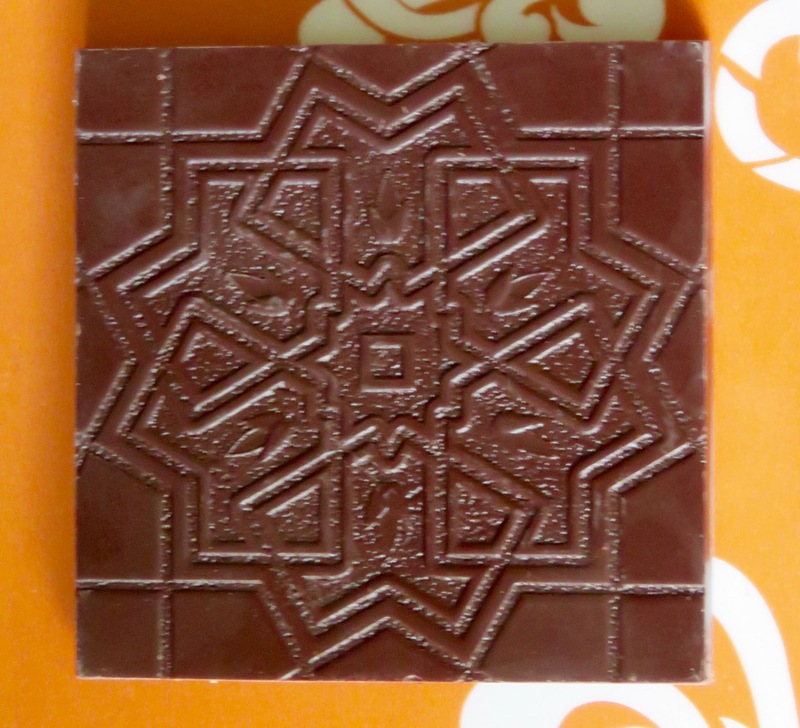 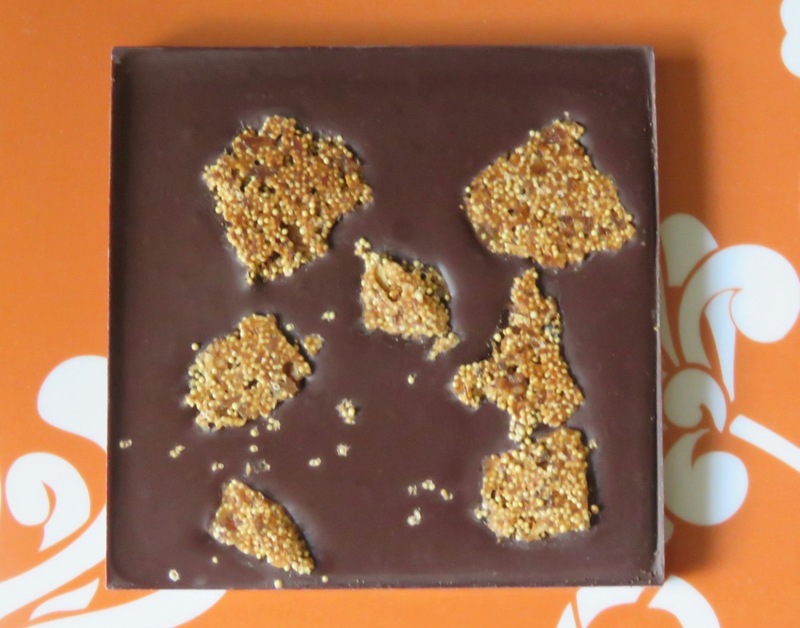 The chocolate itself was a blend of cocoa beans, organic cane sugar and cocoa butter, decorated with small clumps of candied ginger, masala chai spices, maple syrup and baking soda. 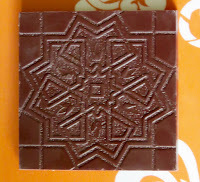 And the chocolate tasted smooth and chocolatey with a hint of red fruit (plum). 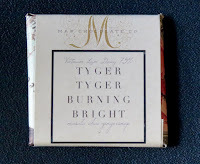 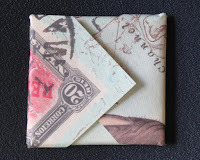 *The bar's name is a reference to the poem "The Tyger" by William Blake.